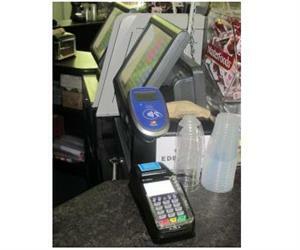 Nextco manages the entire point of sale installation. More than just a hardware and software supply company, Nextco manages the entire point of sale installation. With our marketing history and good partnerships generated throughout the industry we are able to source market leading products at very reasonable prices. This means when you deal with Nextco you know exactly what you are getting and also that it is at very best pricing and that it will all work seamlessly together to deliver the system you are after. Nextco always supplies heavy duty hardware designed for the Hospitality environment but it is also Nextco policy that hardware should be supplied with the longest possible on-site support facility and will always attempt to provide this unless the client believes that it is not required. Our compact and sleek touch screens have a very modern appearance with a large 15" monitor. The units are highly rated and designed to operate in difficult locations such as bars. They can be mounted on their own stand or on a pole in order to give more bench space. Optionally, there is a large non-touch screen for the customer to view with advertising and promotions. Nextco also supplies and supports other hardware devices, including digital menu boards, mobile devices for restaurants and wristbands for staff logging on and off. Digital menu boards are wall mounted and communicate back to SwiftPOS so that "specials" can be changed on the fly and promotions can be seen in real time. Mobile devices are similar to standard iPad units and configured by Nextco to work directly as a Register on the Network. Wristbands are generally allocated to Staff and retained as part of their uniform, wristbands allow the staff member to log on and off with every sale so that full responsibility is attached to every transaction. If requested, Nextco can also manage your Computer Network and Wireless infrastructure. Even if a site does not have good wireless coverage, Nextco can supply wait-person call buttons and table service buttons with their own wireless infrastructure.